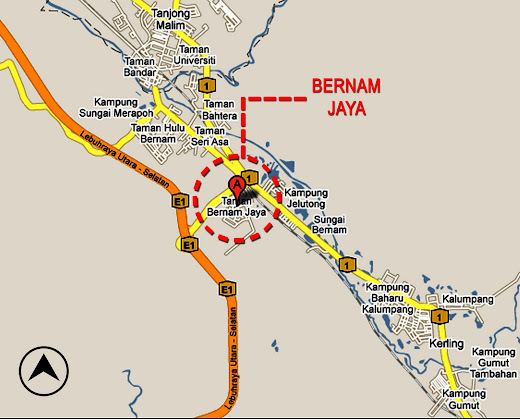 This weekend will see the launching of a new housing scheme in Hulu Bernam in the north of Selangor, just across the border from Tanjung Malim in neighbouring state of Perak. This is my first opportunity to showcase a rectilinear version of my original Honeycomb layout. 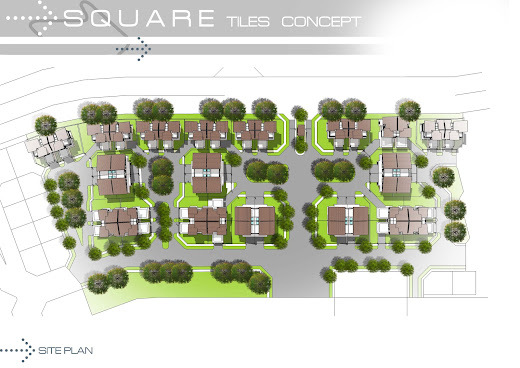 The 'Squares' housing concept aims to improve the external environment of a housing neighbourhood and at the same time increase green area by reducing the area of surfaced roads whilst reducing traffic to ensure a safer residential area for children, cyclists and pedestrians. 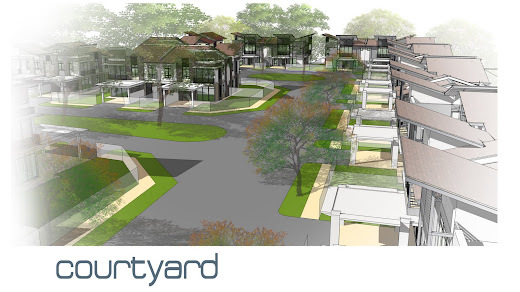 The houses would face a small community park with small birds and large shady rainforest trees, providing a safe playground for young children and encourage sociable neighbourhoods. 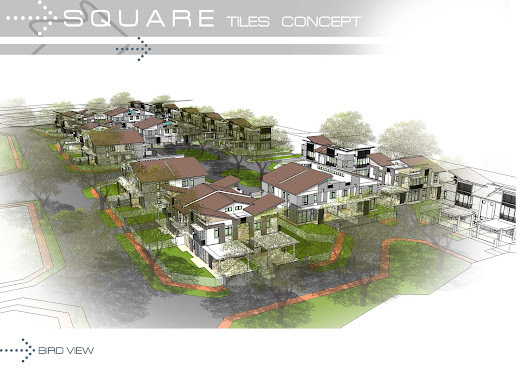 This housing concept has been recently adopted by PKNS (Selagor State Economic Development Corpration). 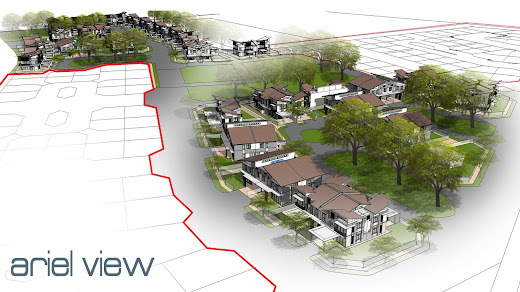 This project will offer a variety of affordable alternatives to terrace houses normally available to Malaysians - from RM260,000 (USD85,000) to RM360,000 (USD120,000). 8 to 22 houses are arranged around a courtyard, essentially like friends sitting around a table, forming a “Village Square”. There are numerous places for children to play. A place friendly to children is friendly to all. The residents would know their neighbours and strangers stand out. Cars automatically slow down in the cul-de-sacs and through traffic is eliminated. 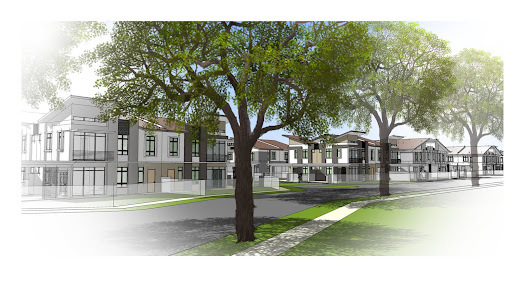 Each house faces a park planted with giant, wide canopy trees that cools the external environment and provides food and habitat for birds and small animals. 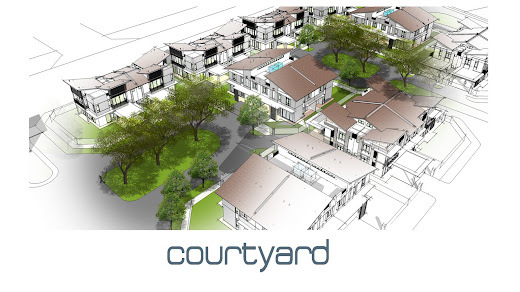 The courtyards are linked by footpaths that encourage residents to walk. 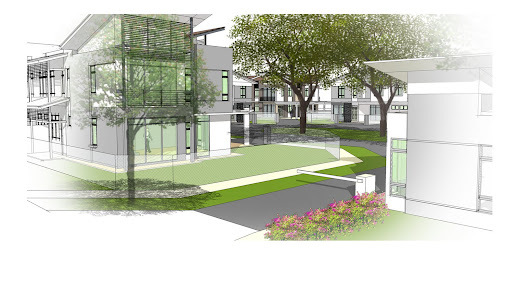 The proximity of such a pleasant social space to every resident – young, old or disabled – is conducive in fostering a sense of community in this housing scheme.